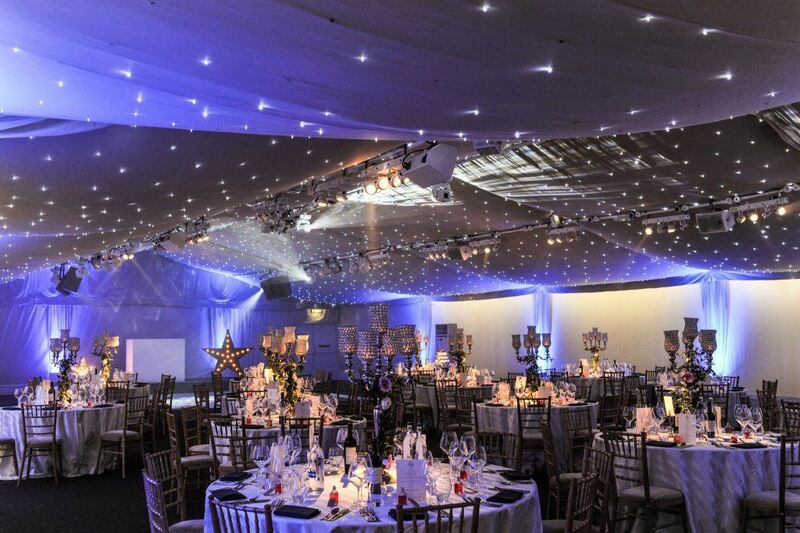 The Conservatory at Painshill Park made a stunning setting for a summer wedding. Following their wedding ceremony, the happy couple and their guests headed to The Conservatory to celebrate. 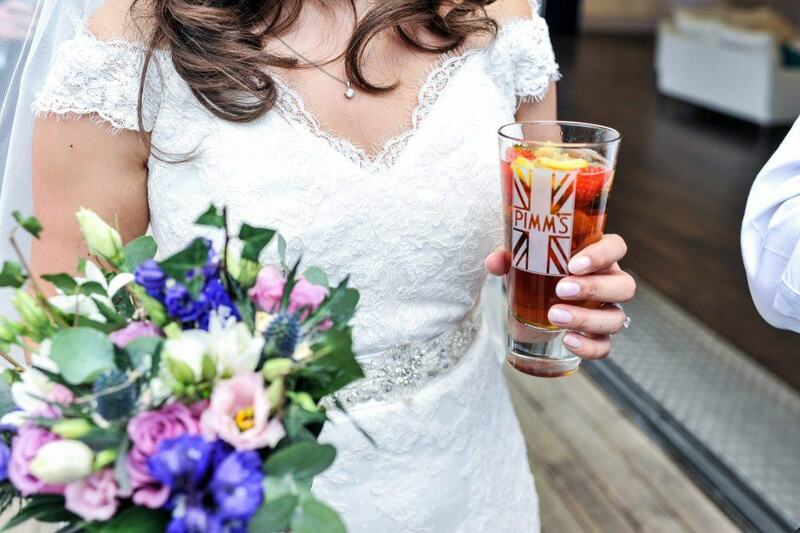 A Pimm’s tricycle was set up in the walled garden of the venue, serving up glasses of the summer favourite as guests arrived. 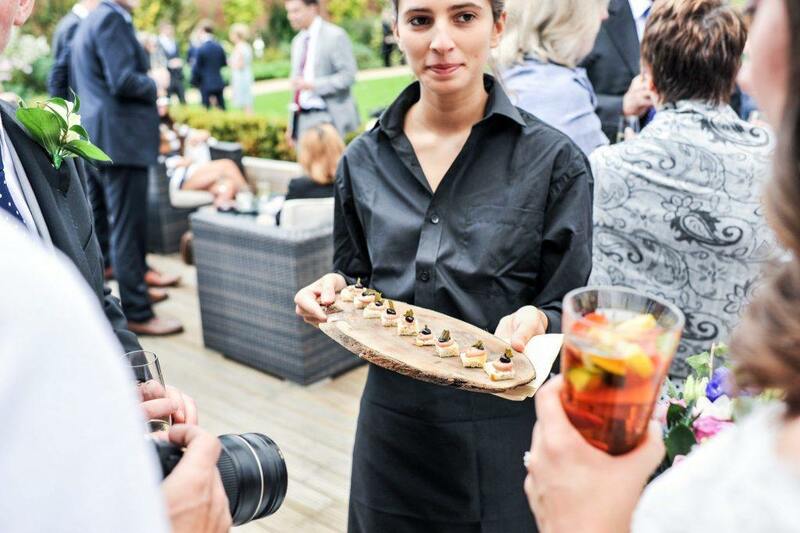 Welcome drinks were accompanied by a selection of Create canapés, including chicken liver parfait, seared yellowfin tuna, pulled pork croquettes, scallop and parsley lollipops, broccoli and stilton soufflés and summer bean and goat’s cheese tartlets. Guests then made their way into the venue for the three-course wedding breakfast. 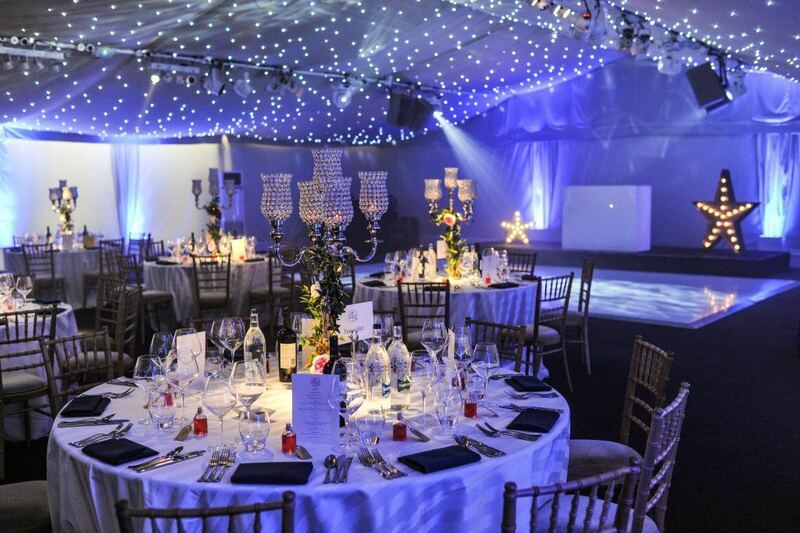 The meal began with starters of olive oil poached salmon, with pressed avocado terrine, summer vegetable pearls and coriander dressing, or burnt onion tartlet with whipped Cornish yarg, gooseberry chutney, pine nut and parsley vinaigrette. The wedding breakfast main course was a roast dry-aged beef fillet, with griddled English asparagus, smoked potato, plum tomato confit and beef jus. The vegetarian option was artichoke and asparagus strudel, with chervil scented creamed potato, buttered bobby beans, carrots and truffle aioli. For dessert, guests made their own DIY pavlova. 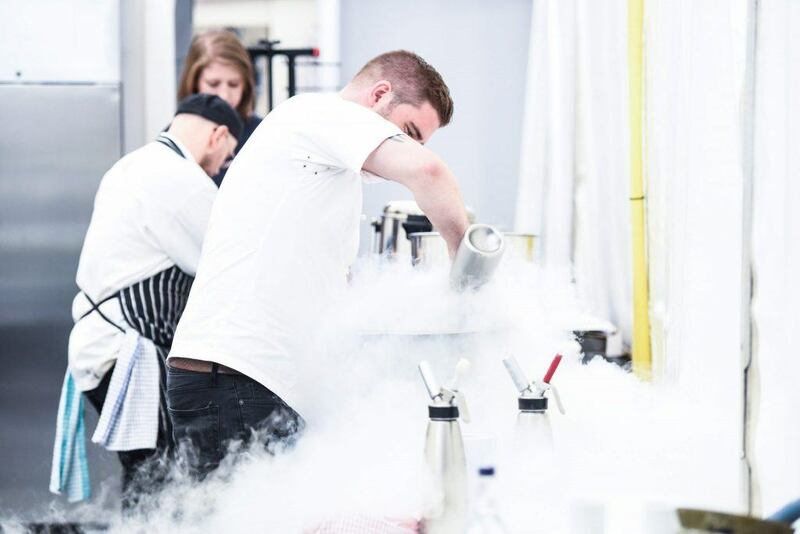 The Create team served guests bowls of fresh soft meringues, crunchy vacherin, nitro kiwi and strawberry, frozen aerated vanilla clotted cream and strawberries on dry ice. 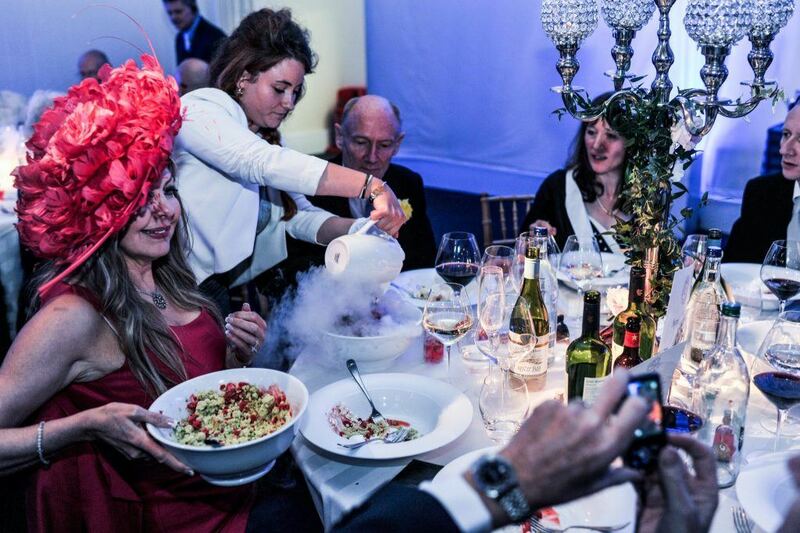 Hot stock syrup was poured onto the dry ice strawberries at the table for a theatrical effect! The Create team also set up a cheese table for guests to enjoy after the meal, with delicious cheeses such as Godminster organic cheddar, Morbier, Comte, Brie d’Meaux and Oxford Blue.